It is commonplace that people smell a rat about successful persons. Athletes are tested for illegal substances, politicians are placed under scrutiny by other politicians, businessmen are always looked upon with suspicion. Radio amateurs don't have to very successful to stir malicious gossip. Those who are doing well are frequently accused of cheating and using secret weapons. It is often justified, but not always. Today the contesters, in particular those having high scores, are X-rayed by some contest sponsors. The fun of contesting is slowly disappearing for those who adhere to fair play in Amateur Radio. 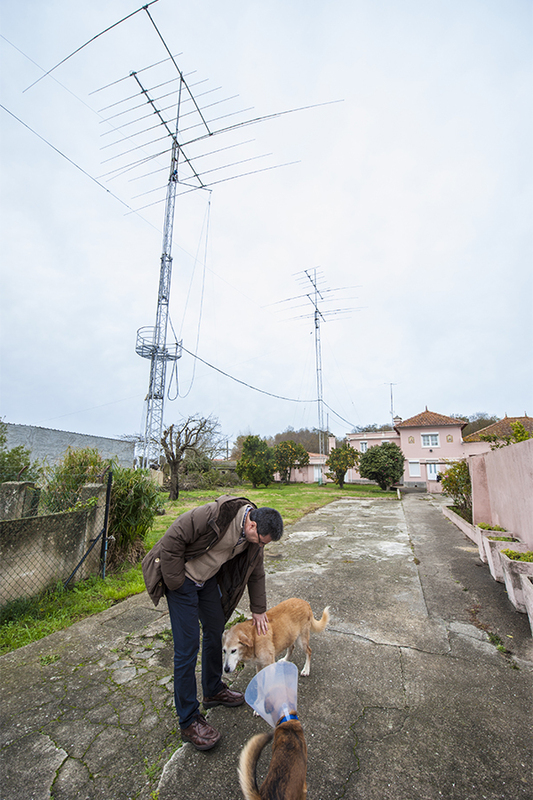 While visiting Portugal in December 2017 I decided to inspect the station of one of the most successful Portuguese DX hunters and reveal his secret weapon. 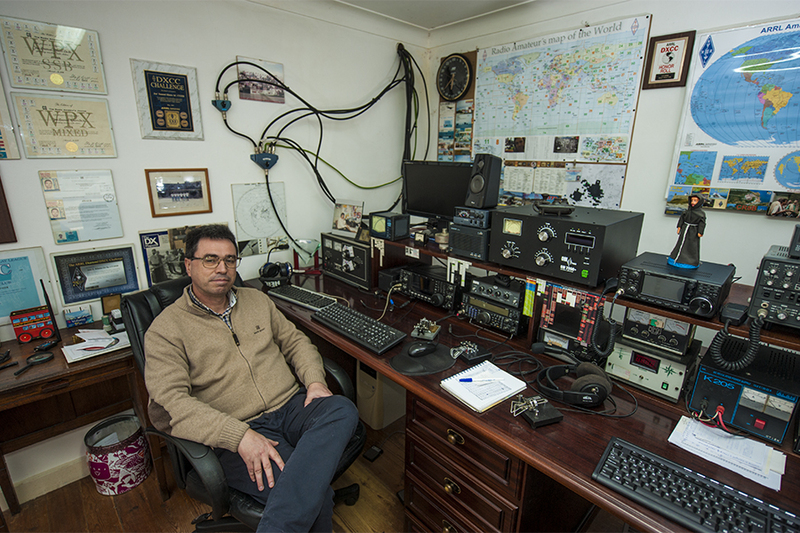 Jose, CT1EEB, is a very ambitious DX-er. He lives close to the Atlantic coast, about 50 km south of Porto, the bustling town in northern Portugal. His station is located in a small municipality near the Aveiro Lagoon. The groundwater is very close to the surface which is favourable for the efficiency of High Frequency antennas. The horizon is open in all directions as this area is flat, not densely inhabited. He lives and works in a small town nearby, the station is in a weekend house. The initial inspection of the operating room at CT1EEB shows nothing extraordinary. A few radio transceivers, including one pretty antique item from 1970s. A couple of legal power amplifiers and a few small gadgets and accessories. What puzzled me was the presence of three different telegraph paddles. Is this the secret weapon? The walls of Jose's radio room are decorated with awards, diplomas and plaques. I am not really up to date about all his achievements, so I can mention only a handful of them. He is on the DXCC Honor Roll #1, his DXCC Challenge score is 3180 today (January 2, 2018), the IOTA Honour Roll figure is 1082 (will be updated in January 2018) and so on. 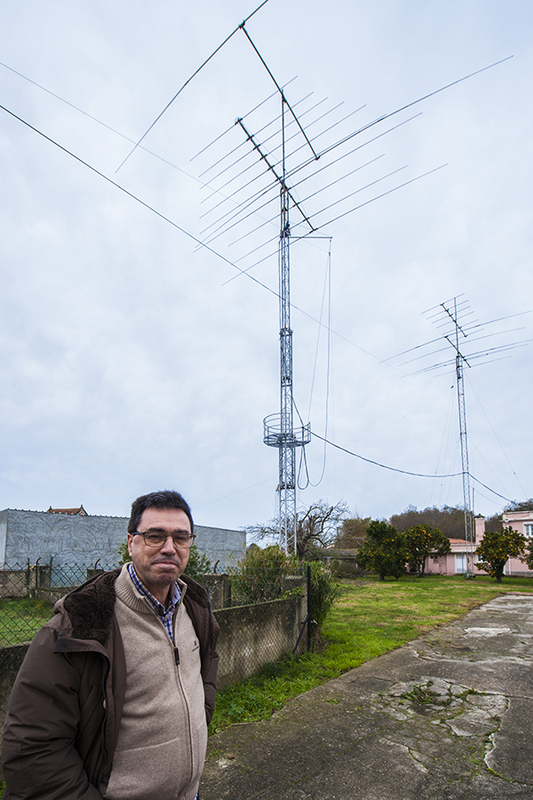 Jose is also the authorized DXCC Card Checker for Portugal, Top Band verifications included. The inspection of the antennas did not reveal anything unusual. The antennas are, as a matter of fact, average. The towers are not extreme. No hidden superconductive hyper-efficient radiators of graphene with golden feed lines. Jose is 50 years old now and received his licence in 1987. However, 40 years ago, when he was 11, his grandfather who was a radio amateur, gave him a small transmitter. It did not stimulate his curiosity then, so it took almost a decade before Jose understood the fun one could have with such things. 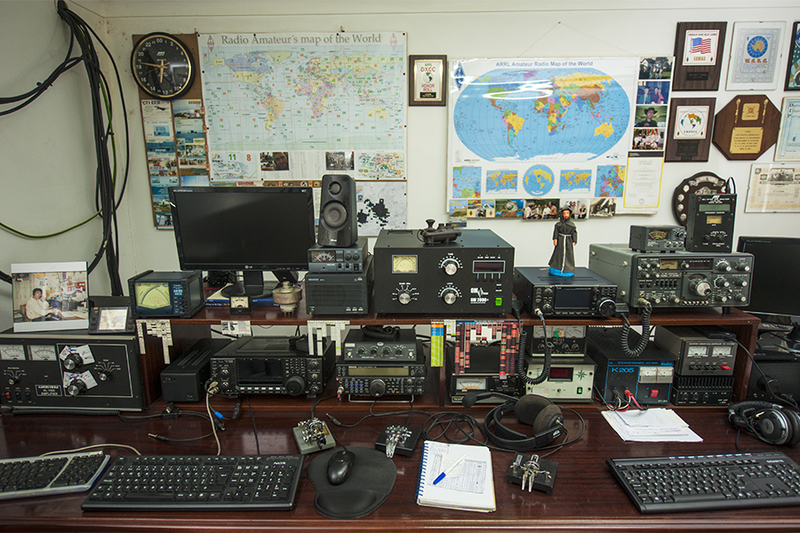 Amateur Radio became a passion and he joined larger and smaller groups activating rare islands for the IOTA programme. Jose has been to many islands for the sole purpose of getting on the air from more or less remote places. He has also lived and worked in Norway, Australia and East Timor. The time spent on East Timor in year 2000 was an unforgettable experience. He worked for the United Nations when Indonesia refused to accept the 1999 referendum in this previously Portuguese colony, causing a human catastrophe. 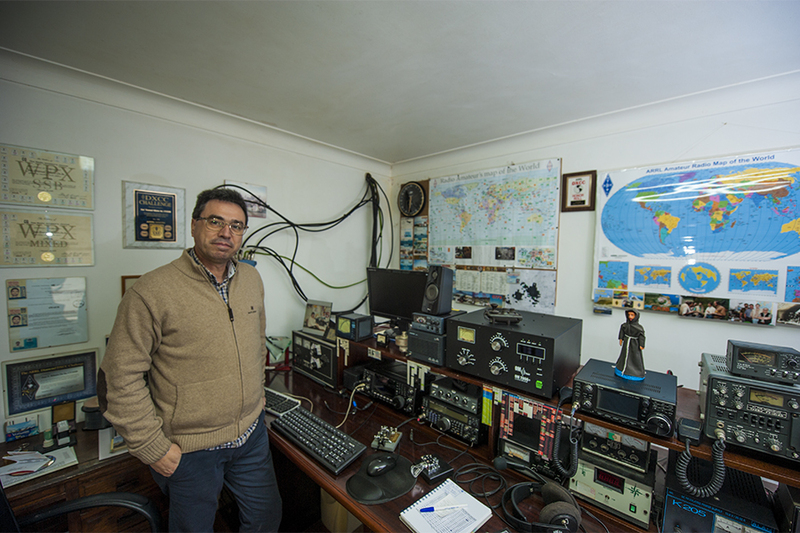 Jose made thousands of contacts using a small transceiver and simple wire antennas with the UN assigned call sign 4W6EB. This became a new DXCC Entity, so the demand for a QSO was high. Jose and his stray dogs. He found these homeless dogs that were in poor shape and now takes care of them. They in return guard his antennas when Jose is in town. I found no secret weapons of any kind in his station. 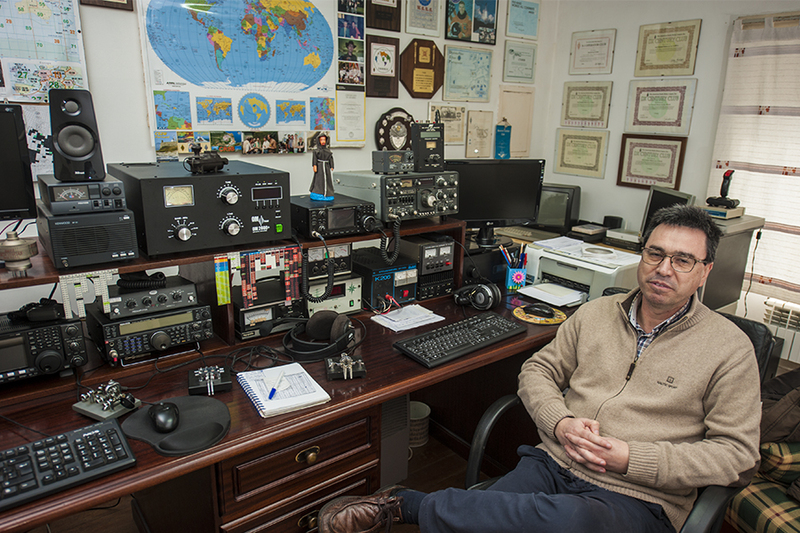 I guess the best weapon for being successful is in one's head - determination, will power and accumulated knowledge of the subject, in this case the HF propagation, antenna radiation, predictions and analysis of the information we can access. Why did I suspect some weapons involved? Well, Jose has a military background, and they know how to handle weapons. This is of course a one-liner, a joke. Radioamador de excelência. Melhor pessoa ainda sempre pronto a ajudar os mais novos. Bem haja. Nice write up about a great operator. Un artículo interesante, el cual, había empezado a leer intrigado por su título.... Je je. Gracias por el relato, que está echo de manera interesante y entretenido para leer. 73. EA7JTT, Juan José.